“Use only “Running” ledgers. No fixed rigs, bolt rigs, semi bolt rigs, zig rigs, chod rigs, helicopter rigs, elasticated method feeders, lead core or heavy Ebro style fishing tackle”. A Running lead is the most basic ledger rig possible. It is fish friendly (safe) and almost a guaranteed catcher. That is why we recommend it!! Keeping with the simplicity theme, we believe the easiest and the best way of attaching a lead is a “Running lead” setup. To do this simply thread the lead onto the mainline, then a bead and swivel and then tie on your hook length/hook (40lbs braid for Cats). It should look like that in this picture. The main line must be able to run freely through a lead clip if this option is introduced. This running ledger rig with the exception of the knotless knot, has been used for almost hundreds of years in one guise or another and cannot be beaten if you are fishing close range or you are stalking. If you are specimen fishing for Carp, Cats or Tench this is the rig to be used at Manor Fisheries. 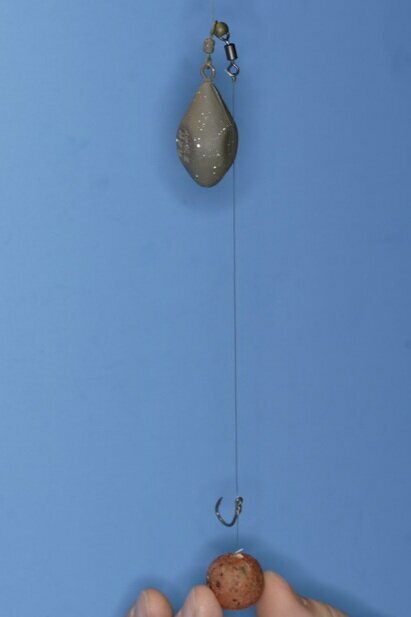 It is simple and effective and allows concentration on more important things such as watercraft and bait placement.